Somethings can survive World War II it seems. Fujiwara Chiyoko was easily the most popular actress of her time until her abrupt disappearance from cinema in the 1970s. She finally agreed to give an interview to Tachibana Genya and his assistant. She opens up about her lifelong dream of pursuing a painter and how she began an acting career when Genya presented her with a key that unlocks “the most important thing in the world”. Kon Satoshi’s Millenium Actress (千年女優, sennen joyuu) is an anime movie that was unfortunate to come out at the same time as Spirited Away, and thus was largely ignored by American audiences. The movie is primarily about Chiyoko and her journey to find the painter who left her that key, and how she becomes an actress along the way. Chiyoko’s story is told through the various movies she made. She meets the man with the key as Japan was involved in the second Sino-Japanese War. It was then she decided to be an actress and went to Manchuria to film her first movie. Most of the movie is shown with Chiyoko as the characters she played in her movies, all of whom seem to be pursuing a man. It led to a very surreal experience overall, especially with other people in Chiyoko’s life (such as Genya or the man with the key) playing other parts in these sequences and the movies (as well as her real life) blending together to form one narrative. All of this was shown in absolutely gorgeous animation. Like the more recent The Girl who Leapt Through Time, Millennium Actress is a Studio Madhouse production. It is clear how much effort was put into even simple scenes like Chiyoko running through the snow, let alone more complicated sequences like when Chiyoko (in the role of a feudal princess) is in a castle getting bombarded with flaming arrows. 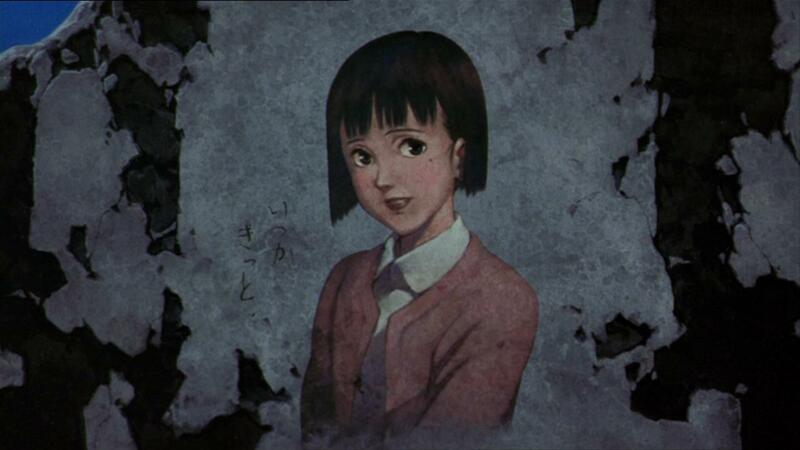 Millennium Actress also sounded every bit as good as it looked. Hirasawa Susumu created a beautiful soundtrack, and the cast was entirely comprised of veteran voice actors. Notable cast members include Orikasa Fumiko (known for roles like Rukia in Bleach) as Chiyoko as a girl in her late teens, Yamadera Koichi (Spike Spiegel in Cowboy Bebop) as the man with the key, and Suzuoki Hirotaka (Saitou Hajime in Rurouni Kenshin) as film director Otaki. In general, I can’t really say anymore about the movie purely because I’m at an utter loss for words to describe what an insanely beautiful movie Millennium Actress was. It is one of few tearjerkers I have seen that actually succeeded at jerking tears without trying too hard, though the movie also does plenty to keep the movie’s tone light when needed, and I am definitely going to look for other works by the (alas late) Kon to check out. Basically, you need to go out and see Millennium Actress. Note: As I mentioned, this movie was largely ignored by American audiences, and it appears that American distributors didn’t really give it much attention either. The DVD I bought was published by Dreamworks, and it was an example of a great movie being marred by a mediocre DVD transfer. The picture quality wasn’t quite good enough to really do the visuals justice. I also feel since most American audiences don’t really know (or care) about this movie, there really is no point in waiting for a Blu-Ray release.